The informative letter can act as a marketing tool to promote the company’s products, attract new customers and increase sales. A letter message (notification) is about the change of prices, the director, the details of the company, the conduct of negotiations, the shipment of products, etc. A letter statement is about some intentions of the addressee. A confirmation letter is about a receipt of goods, money, or documents. A reminder letter is about the fulfillment of obligations. An advertising letter is about advertising products and services; this also includes an informative letter about the company. Often an informative letter is enclosed with the cover letter, where information is provided in expanded form and in more detail, as well as by separate provisions of legislative and other normative legal documents. The head of the company signs this letter, sometimes his deputy or even the secretary. In the case of mass mailing (in large numbers), you can do without a signature or use a facsimile. Structure and details of the informative letter are standard, as well as the rules of compilation. In the “design” sense, information messages must correspond to all norms of business correspondence. In the upper left corner of the form, the details of your company should be included – name, legal address, contact information, etc. You can fill in this information manually, pre-print it in a sample file or simply put a stamp of the company, if you have one. The stamp contains all the necessary requisites, and in addition you will have to specify only the date of writing the letter and its outgoing number. If you are writing a reply letter, indicate the date and number of the incoming document next to it. In the upper right corner you need to specify the information about the addressee. Usually here one can manage the position and name of the head of the addressee, but ideally, you should also write down the name of the company itself, along with the address of its location (including the index). Write a title in the center, reflecting the subject and content of the letter (for example, “On the difficulties that have arisen in the course of delivery,” or “On the results of the meeting”). In the informative part, describe the information that you want to convey to the recipient. Begin the text with phrases like “we want to inform you about,” “pay your attention to,” “we inform you of.” Try to avoid verbosity, and write laconically and orderly. Do not forget: if the essence can be stated in five sentences, do not write on a whole sheet. This applies, incidentally, to advertising texts as well (even a commercial proposal should not take more than one sheet). Written on the sample model, an informative letter on the change of director, for example, takes only 4-5 lines. If you attach any documents or other additional materials to the message, list all the applications at the end of the content part. Provide a brief explanation, if necessary. Specify the number of sheets in the attached papers. Don’t know how to end informal letter? Finish the letter with the words “Yours faithfully” (or any similar phrase). At the very end it is necessary to specify the post of the sender and his or her surname with the initials. The sender can be a leader, his deputy or a clerk. If you personally write and send business correspondence, put your signature. If the correspondence is authorized by any of your employees, you can specify him or her as the sender. And sometimes informative letters are sent to dozens or even hundreds of people at once (for example, to all clients of the firm). Sign on each of them – the task is not the most pleasant. In such cases, you can do without a signature. So, now you know how to begin, what to write in the body, and how to end the informal letter. What else should you know? An important point: together with an informative letter, you can send documents of any type – contracts, constituent acts, receipts, promotional materials, price lists, etc. And quite often in information messages you have to operate with excerpts from normative documents and legal acts, so if necessary, involve specialists in writing letters. The marketing letter should look like the text made by a professional. It is formatted according to all the rules of web-layout, that is, pictures, paragraphs, fonts, indents and commas are placed correctly. There are all the necessary elements of the marketing text: product description, its technical characteristics, visual graphics, links, buttons, etc. The advertising informative letter is addressed to the target reader. In any case, there are no standard principles for compiling an informative letter for anyone. In fact, if everything was so simple, then we would have long been millionaires. 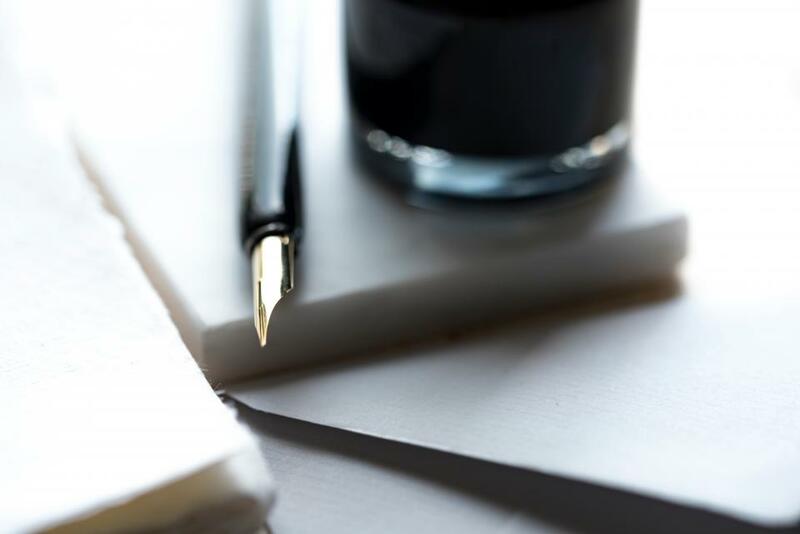 You may ask, “where to find time for the creative process, when you have so much to write in your informative letter?” Fortunately, informative letters do not require a creative view, as they are formal and have a clear purpose – to inform readers. Of course, your informative letter can be more interesting if you get rid of templates. If you like our post, also, Learn How to Write an Informal Letter in 15 Minutes.